Fraud continues to be a major source of revenue loss for the global airline industry. With airlines pushing for more direct bookings and the accelerating use of mobile as a booking platform, incidence of fraud is rising, albeit only slightly. Despite these factors, many airlines are not devoting the necessary resources and tracking the required metrics to measure and control fraud. CyberSource partnered with Phocuswright to benchmark global metrics and trends in fraud management and protection among airlines. 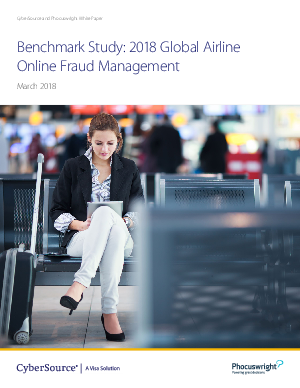 The study also explores airline awareness of various fraud-related issues and examines their approaches to and implementation of fraud management tools and services. To learn more, download the study today.